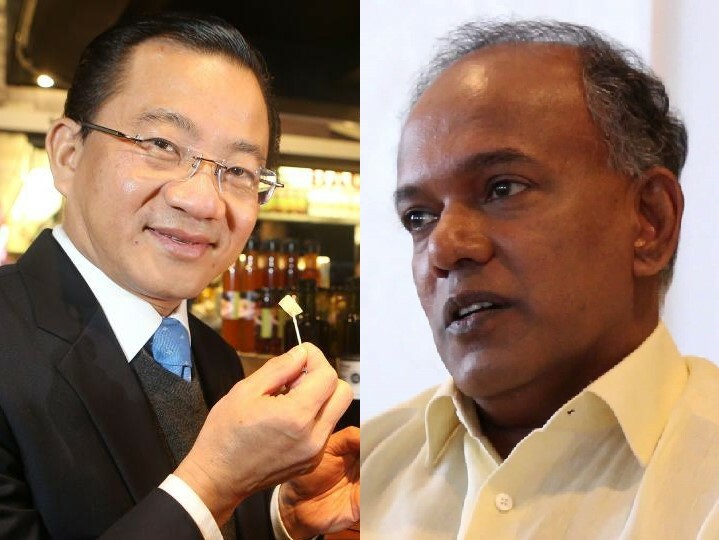 Law and Home Affairs Minister K Shanmugam has thrown his weight behind his ruling party colleague Seah Kian Peng after the latter slammed local activists after they met Malaysian Prime Minister Dr Mahathir Mohamad this past Thursday. Historian Dr Thum Ping Tjin, journalist Kirsten Han, activist Jolovan Wham, and comic artist Sonny Liew had met the Malaysian leader at an event hosted by Malaysian political activist Hishammuddin Rais and exiled Singapore activist Tan Wah Piow. The group who met Dr Mahathir shared pictures of their visit on social media, and some of them shared a little bit about their interactions with the nonagenarian. 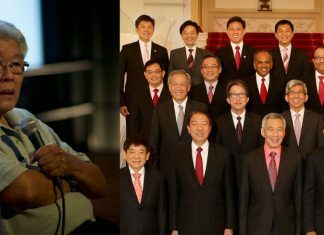 “PJ Thum and friends ( including Kirsten Han, Sonny Liew, Jolovan Wham) meet DR M, invite Dr M to bring democracy to Singapore, and suggest that Singapore is part of Malaya. While Seah seems to think that Dr Thum considers Merdeka Day to be the “unofficial independence day to the people of Singapore,” Dr Thum was most likely referring to the fact that Singapore’s founding Prime Minister Lee Kuan Yew declared de facto independence on 31 August 1963. The de facto independence that Lee declared, and that Dr Thum is probably referring to, had nothing to do with Merdeka Day. “Separately, in a comment on a TOC video post, Teo Soh Lung said that “Singapore is part of Malaya la”. Really? This is what PJ Thum and Teo Soh Lung and the SDP believe in their heart of hearts? To date, Tan Wah Piow maintains that he was framed by the Government and fled to London, England fearing an accidental death while he served his National Service. In 1987, Tan’s Singapore citizenship was revoked since he lived overseas continuously for over a decade. His citizenship was revoked under Section 135 (1) of the Singapore constitution, which was only introduced two years prior, in 1985. “I’m amazed that Dr Thum and his supporters should proclaim that Singapore is part of Malaysia (or Malaya). Perhaps that is why he thinks it is permissible to ask its current prime minister to interfere in our affairs. “It appears quite clear to me that PJ Thum does not wish Singapore well. It is interesting that Kirsten, Jolovan and Sonny should associate themselves with Thum. “Perhaps I should remind PJ Thum that our Constitution requires any change to the sovereignty of Singapore to be approved by two-thirds of all voters in a referendum. This requirement was put in by our founding leaders. As a result of our searing experience in the 23 months when we were part of Malaysia, they knew how important it was to safeguard our independence and sovereignty. While Seah’s post prompted a majority of Singaporeans responding to his argument to express concerns over local activists meeting with a foreign head of government, some have accused Seah of fear-mongering with his post.